Duo Design was started in 1998 by a master carpenter David Staselis who is skilled in custom cabinet building and design. David and his design partner Steve R Smith started their careers by working for a high end kitchen and bathroom cabinet making company around ten years ago. David realized he had reached his potential at the cabinet company and wanted to expand this talent and craftsmanship, whereas he started Duo Design, a home remodeling company located in Hudson County. Within three years, Steve joined Duo Design and the company has expanded their design and home remodeling talents to other counties in New Jersey. Duo Design has remodeled many homes in the Jersey City, Hoboken area and has expanded their home improvement business to other areas of Hudson County as well as Morris, Essex, and Sussex Counties in New Jersey. Duo Design starts every home remodeling project by applying their creative concepts to make your interior and exterior unique from other homes. Our home remodeling projects are performed within the estimated time, always within the agreed budget and we always surpass our customer expatiations. From building the foundation for home additions to adding wood trim to finished kitchen projects, only Duo Designs craftsmen work on all the home improvement projects that we design, build and finish. 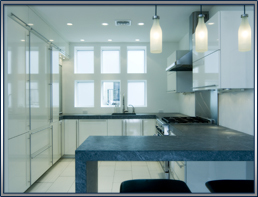 Please call us today for more information on our home remodeling design services that we provide for Northern New Jersey.